While the last of the three first-generation satellites of the Meteorological Operational Satellite (MetOp) program was launched, work on the follow-on satellites is already underway: an important step in the development of the satellites for the second generation of the MetOp program was achieved at the end of October with the delivery of the six meter high structure to the prime contractor Airbus Defence and Space in Toulouse. 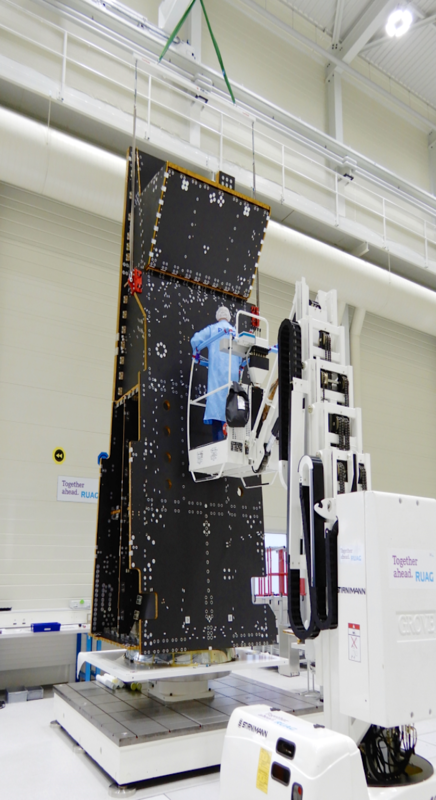 The first structure of the second generation of European meteorological satellites (MetOp-SG) was delivered to Airbus Defence and Space in Toulouse at the end of October. This structure will undergo a comprehensive set of qualification testing performed at system level on the satellite Structural and Thermal Model (STM) by Airbus Defence and Space before being returned to RUAG Space for refurbishment to the satellite A flight model. The series of tests are required to validate the satellite performance, paving the way for the manufacture of the remaining flight models. Developed and manufactured by RUAG Space, the six meter high structure consists of more than 50 parts, including a composite cone and cylinder together with a number of carbon fibre and aluminium sandwich panels. Together with the tertiary brackets, the overall structure weighs approximately 1000 kg. The STM structure, together with the further five structure flight models to be delivered over the next years, will serve as the “backbone” of the MetOp-SG satellites. 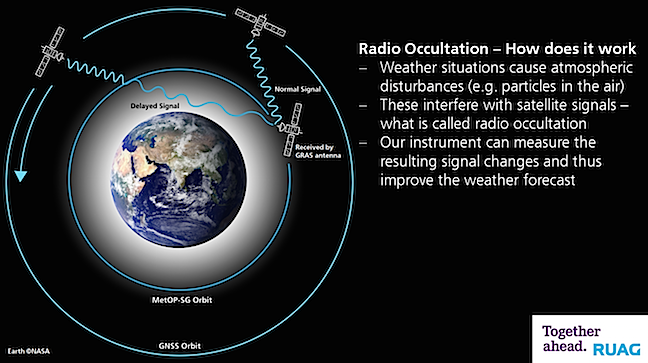 The first generation of MetOp satellites provide observation data used for weather and climate forecasts. MetOp-SG aims to continue and to enhance these critical observations from the same Low Earth Orbit. The MetOp satellites operate in a sun-synchronous, polar orbit at an altitude of around 800 km above Earth, which is much closer than the 36,000 km distance of geostationary satellites and enables them to deliver much more precise meteorological measurements of the Earth’s atmosphere and surface. The last satellite of the first generation, called MetOp-C, was launched yesterday from Kourou Spaceport in French Guyana. MetOp-SG is a collaborative program between ESA and the European Organisation for the Exploitation of Meteorological Satellites (EUMETSAT), with ESA responsible for the development of the satellites and associated instruments. ESA selected Airbus Defence and Space as the prime contractor.